Ali reviews 12×12″ “We R Memory Keepers” Albums for us… read on! I’m a scrapbooker… I save memories through photos and stories. I’m making sure those memories, thoughts and information tidbits will be available to future generations. Because I see the value in memory keeping, I’ve always had an appreciation for items that are “can’t live withouts” in my role as protector of these precious memory treasures. I’ve discovered products that I rely on to help me safeguard what is important. These are products that I know and trust for their quality finish, richness of design, ease of use, and most especially for their sturdiness. Today I’ve been asked to share one such product with you: the We R Memory Keepers albums made for 12×12” scrapbook page layouts. I was given one of these by my parents a few years ago as part of my Christmas gift, and wow: I was very impressed! Here’s what happened. In 2004, I’d been scrapbooking for about two years, and intensely disliked post-bound albums. I had recently discovered the convenience and ease of 3-ring binders for my layout storage. This happened right around the time that many other scrappers had discovered the handy nature of 3–ring binders and there was a big demand for them. The binders were being made for a hasty sale and a quick buck, with poor quality materials and awful workmanship. Having to spend money on albums that were flimsy, unattractive, and made of cheap-looking materials had me discouraged. There seemed to be nothing sturdier and attractive available! My Mom, a lifelong crafter and home economist, listened to the frustration in my complaints and asked me what would work better. Then she looked for a solution every time she shopped in craft stores. She kept me posted on her progress, and lo and behold, when Christmas arrived: she’d done it! I had never seen anything that could be called a decent 3-ring 12×12” scrapbook album until my parents happened across the WRMK ones and rescued me! I now use the WRMK 12×12” D-ring albums exclusively to store all of my newly created layouts. I’m working on transferring the pages stored in unattractive and MUCH less sturdy 3-ring albums over to these. Once I am caught up with WRMK storage for my 3-ring pages, I will also need to transfer several of my post-bound albums, which are falling apart! I unhesitatingly recommend WRMK albums to EVERYONE. These We R Memory Keepers albums are imported from Italy. They’re made of acid free archival materials and are readily available for purchase. The colours are richly-toned and look classic no matter where you display them. Colours available through Scrapbooker’s Club House are: black, cinnamon, navy and wine. 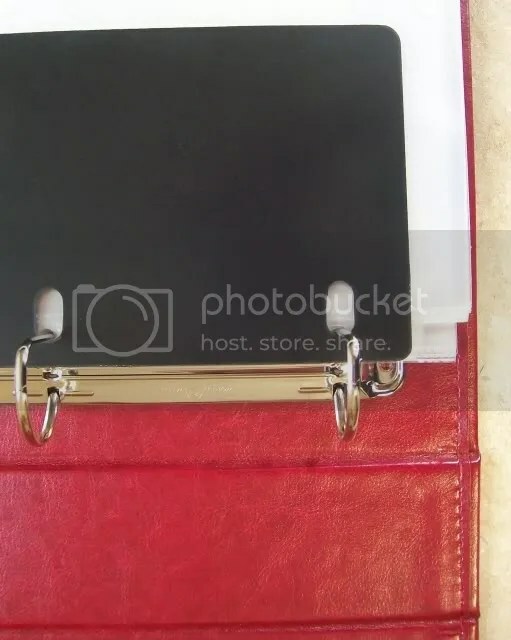 As a major benefit, this is a 3-ring binder style album, so you can open the D-rings to load or move pages around. This is a convenient time-saver, meaning no need to feel that you can ‘only’ scrapbook chronologically!! The D-rings are sturdy, “sit” properly, and can be popped open and closed when you wish. The album is roomy; more than true 12×12” in size. I measured: the closed album is = 15.5” wide x 12.5” tall. The finish is a smooth-to-the touch yet faintly-textured faux leather that can easily be wiped clean. The album is very slightly padded. All edges are beautifully finished with decorative, sturdy stitching. The lining inside matches the cover & is securely stitched in place. 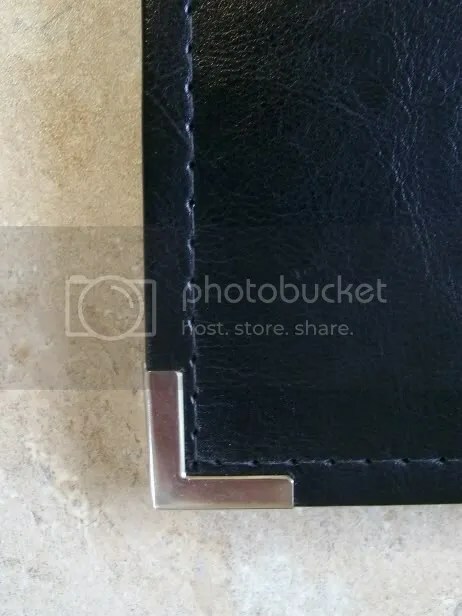 Album corners are tipped in durable, attractive metal. 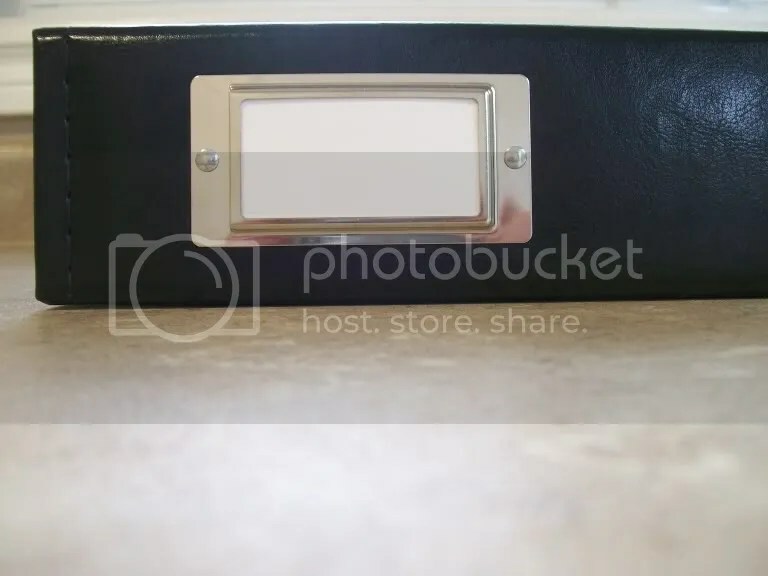 This metal has been shaped to prevent any snagging or scratching. This feature is also self-protective and keeps the album’s corners from becoming bumped or damaged. 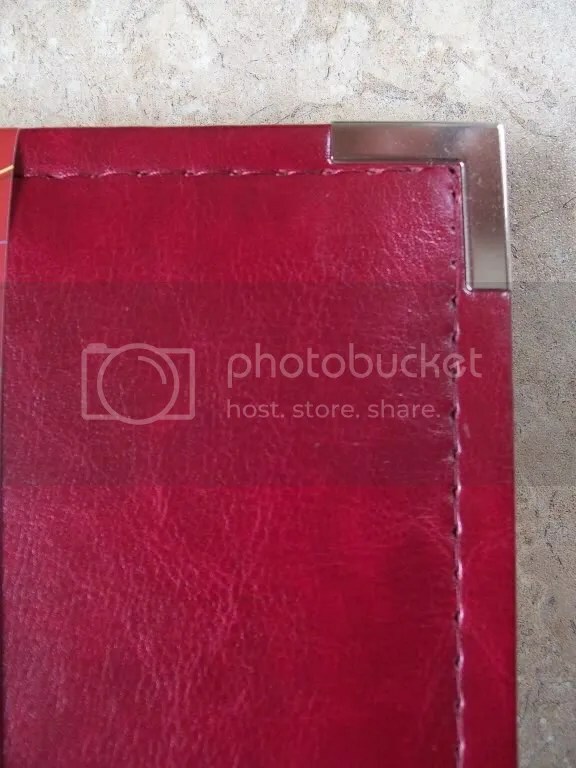 The album spine features a timelessly attractive metal-rimmed identification holder for labeling the album’s contents. Simply change the ID tag in the holder if you change the contents of your album. 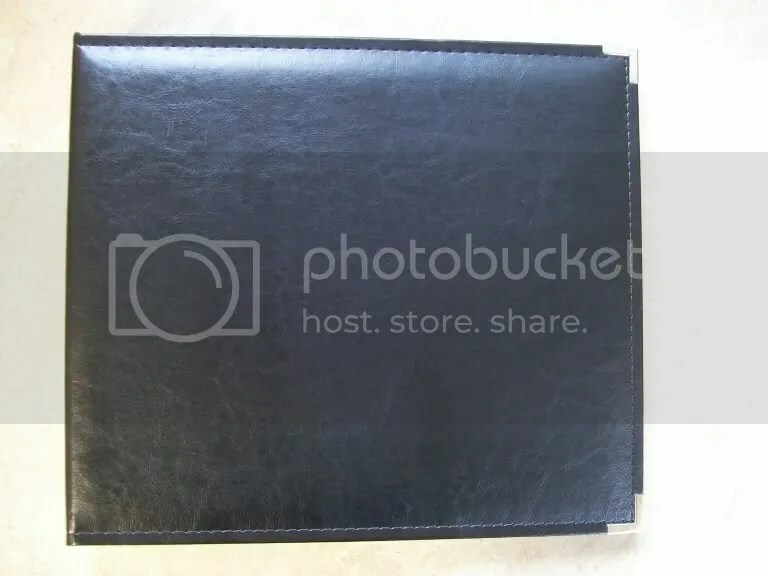 I have also used my favourite brand of panoramic style (fold-out) page protectors in my WRMK albums, and have been thrilled with the results. They fit beautifully, fold out the way they’re meant to, and perfectly display memories that “need” to be seen together. Try one: I guarantee that this will become your “go-to album” style. Superb quality and richness make WRMK albums the only ones worth storing your precious memories in!! A Late-Breaking Tip: If you’re into thinking about Christmas in July, why not ask a family member add this to your special list? Better yet, treat a scrapbooking family member to the value built in to this beautiful product. June Guest Design Team Member Contest!